Welcome to the Boulder Area Human Resource Association (BAHRA) website. BAHRA is a professional association dedicated exclusively to the advancement of the HR profession. BAHRA is an affiliate of the Society for Human Resource Management (SHRM). SHRM is a global association with more than 175,000 members throughout the world. BAHRA was chartered as a SHRM chapter on May 6,1981 and is a member of the SHRM Colorado State Council. 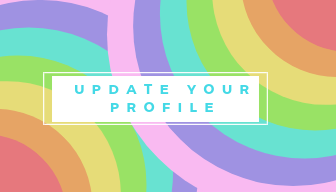 BAHRA has an active membership comprised mainly of HR professionals in Boulder and Broomfield counties and the northern suburbs of the Denver metropolitan area. All HR professionals and friends of HR are welcome to join. 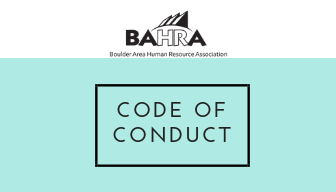 This Code of Conduct for the Boulder Area Human Resource Association (BAHRA) has been adopted to promote and maintain the highest standards of professional and personal conduct among its members. By joining this Chapter of the Society for Human Resource Management (SHRM), a member indicates his/her support for upholding this Code and the understanding of his/her individual responsibility to act in accordance with the following items, thereby assuring that all Chapter activities support the development, networking, and educational intents of this professional organization. Recognize that BAHRA meetings, events, and/or any other BAHRA activities are times for networking and development, not times for sales contacts or self-promotion.